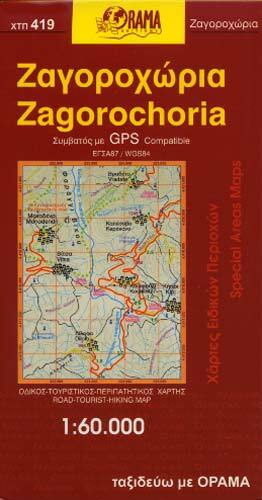 In this tourist map of Zagorochoria you will find the whole road network up to the trails. With accurate distances from intersection to intersection. A few words about the major towns and sightseeings. Names of mountains, crests and toponyms. Coordinates to Geodetic Systems GGRS87 & WGS84. GPS Compatible. Hotels, index of villages, tourist information.